Our aim is to achieve that perfect day for you, making sure everything goes to plan and it is an event to remember for years to come for all the right reasons. 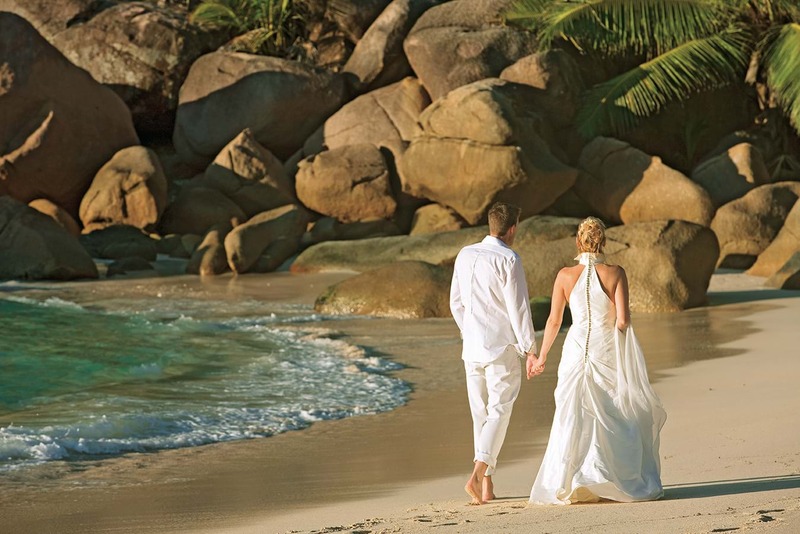 Weddings abroad are becoming more and more popular. 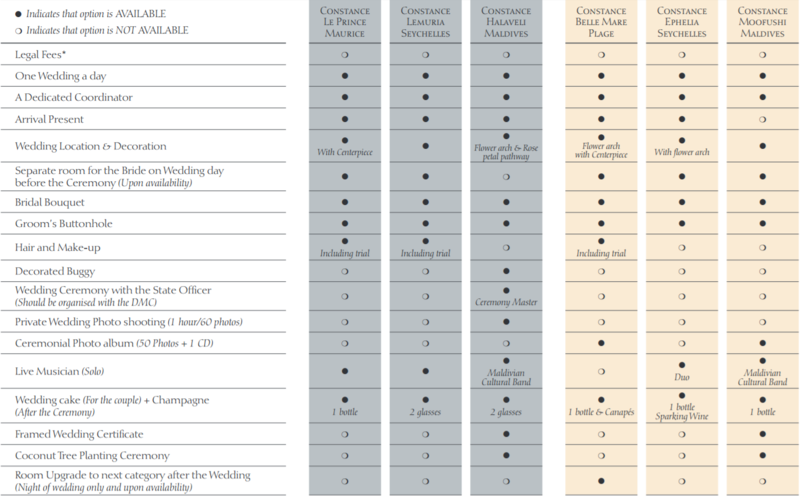 Apart from being really cost effective, often costing a fraction of a UK wedding, they allow you to affirm your love for one another surrounded by family and friends. 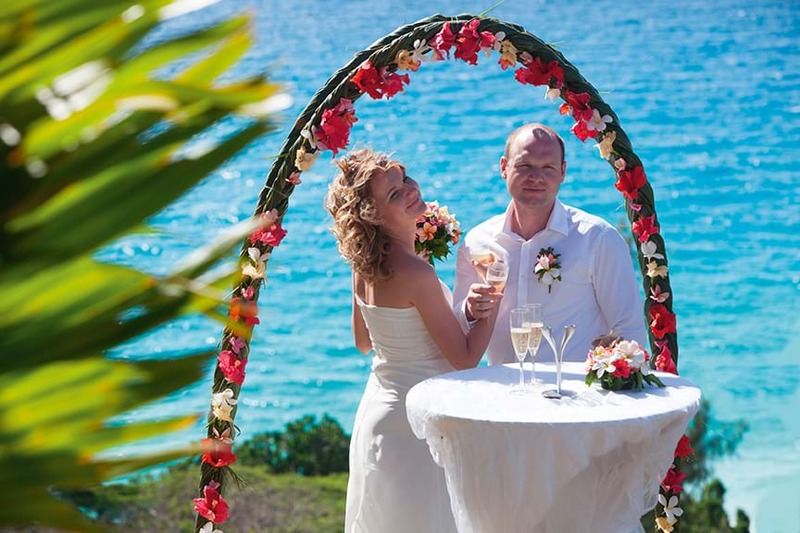 By having your wedding abroad you are also able to incorporate your honeymoon in a breathtaking destination of your choice. 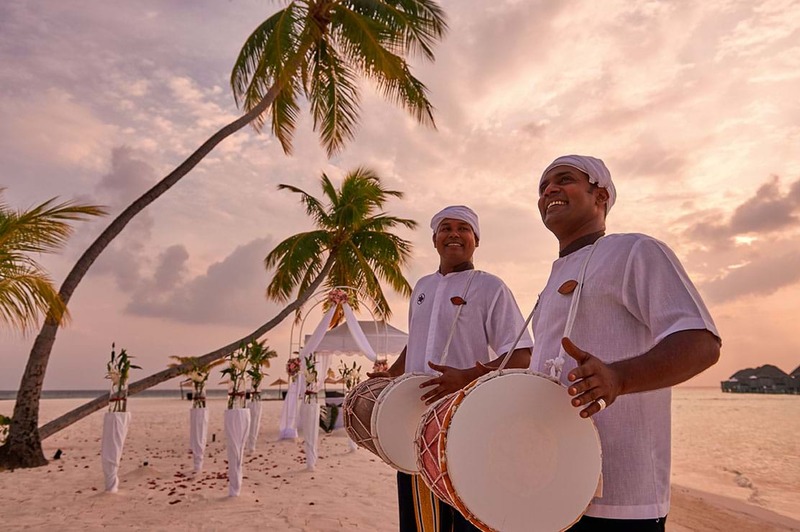 We can arrange your wedding to meet your own specific personal needs; from beautiful beach weddings on tropical paradise islands to quirky ceremonies in a variety of worldwide locations. 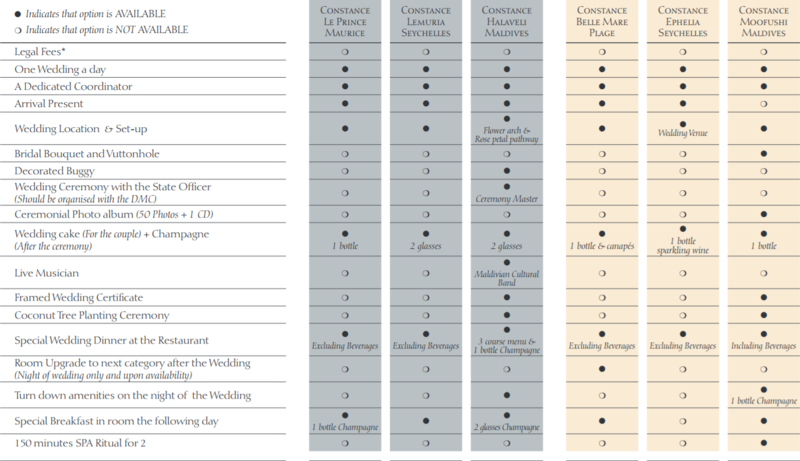 Whatever your needs, your wedding is safe in our hands. 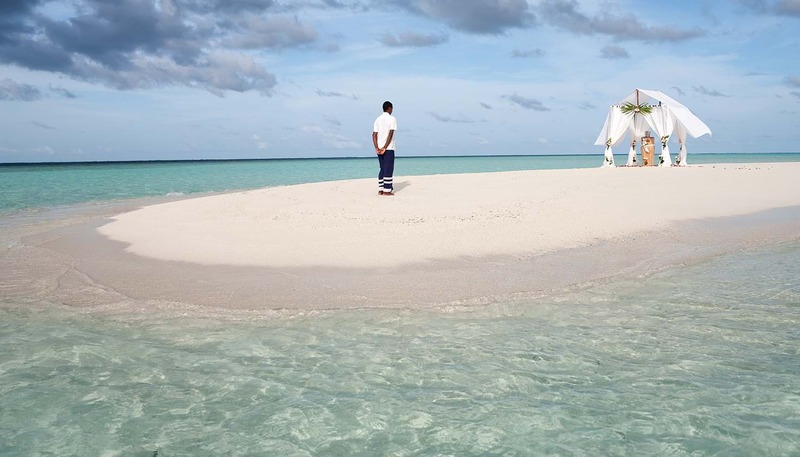 Whether you want to get married in the Big Apple, hold your reception in an underwater venue in the Maldives or find the paradise-island ceremony of your dreams, Travel Inspirations can help make your wedding abroad an unforgettable reality. 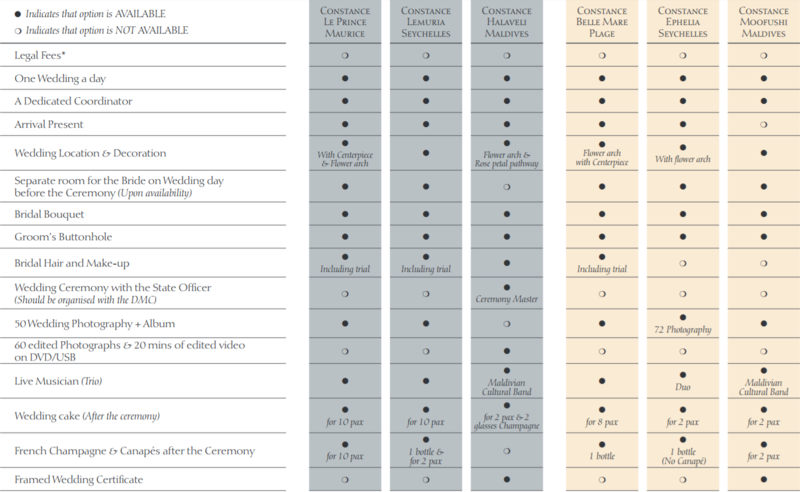 We’re here to make all the difference to your big day. 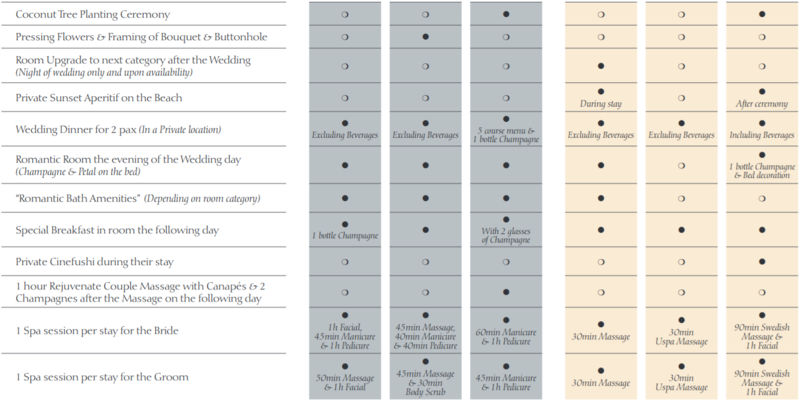 It’s your special event and you deserve everything to go just the way you want it. 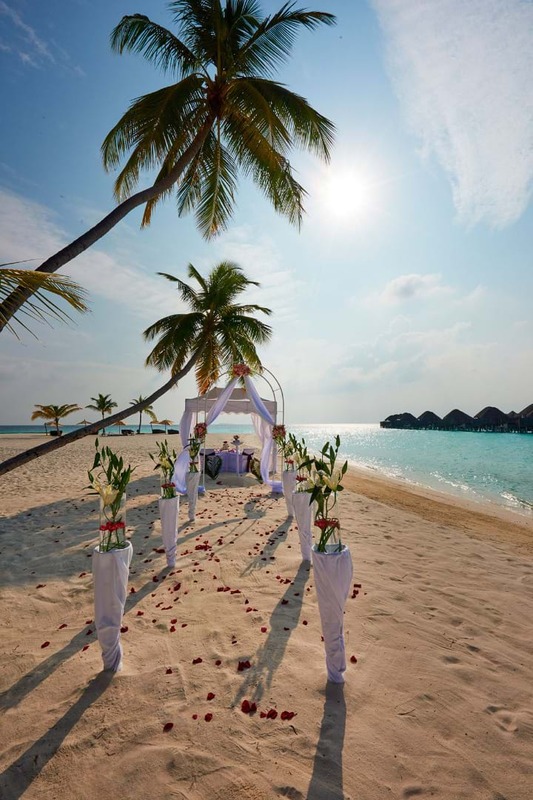 Travel Inspirations are delighted to be working in partnership with the Constance Hotels & Resorts for our weddings abroad and personalised wedding packages. 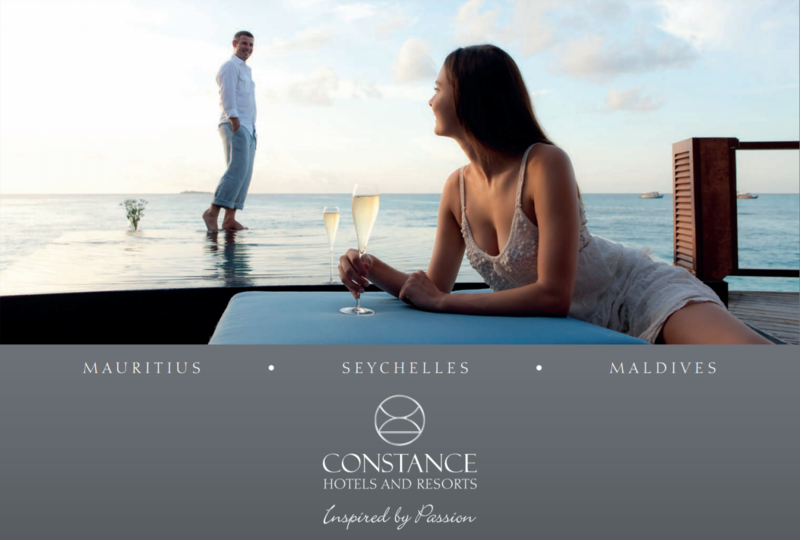 Constance have some of the most exquisite hotels in the world and really do ooze romance and intimacy. 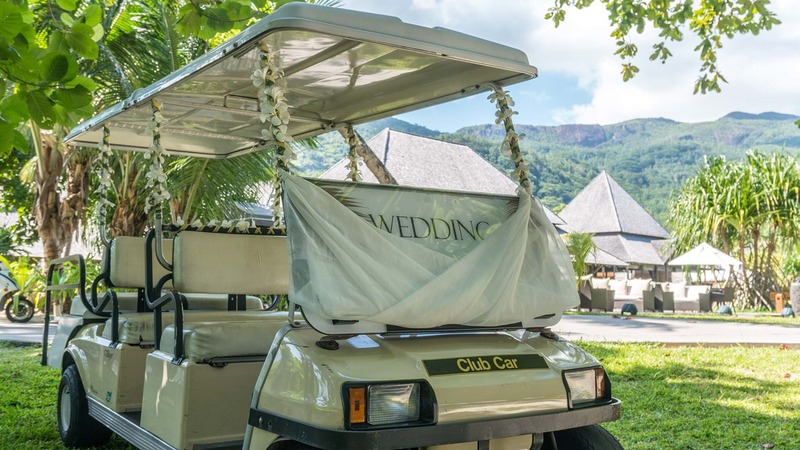 Their very select destinations are tailored to make your special day the most memorable and stress free day of your lives. 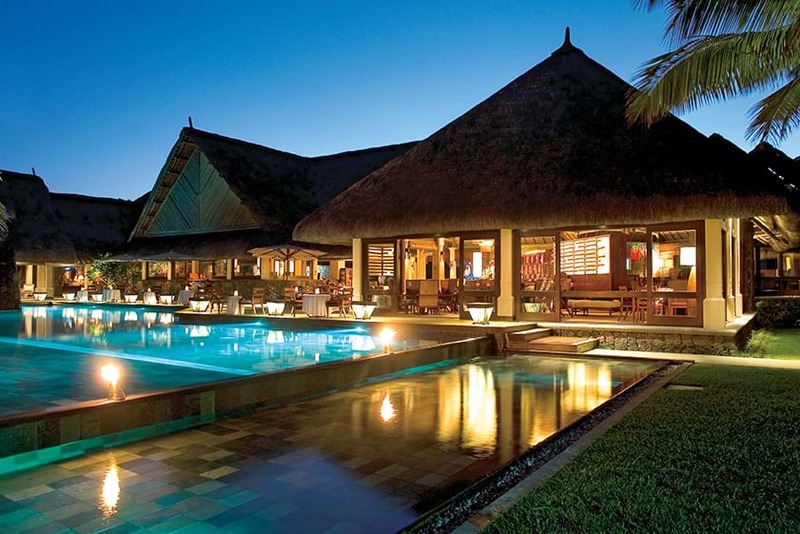 Let us introduce you to the hotels. 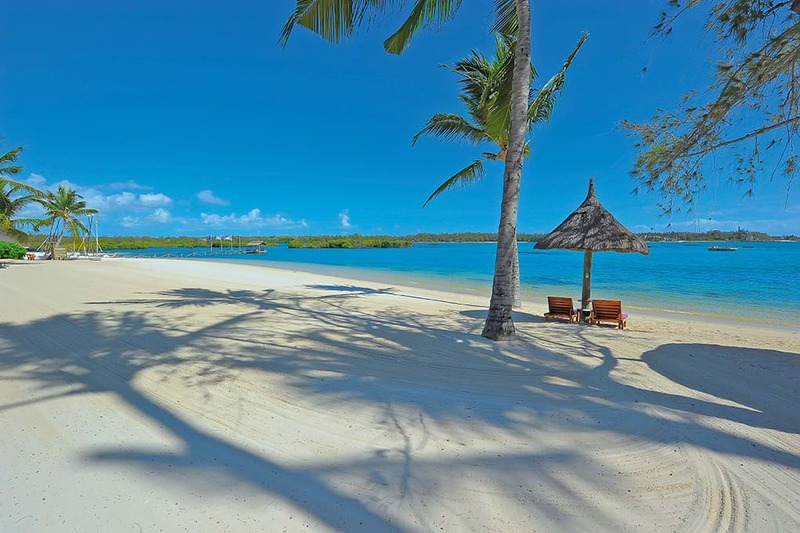 Constance Belle Mare Plage, Mauritius…. 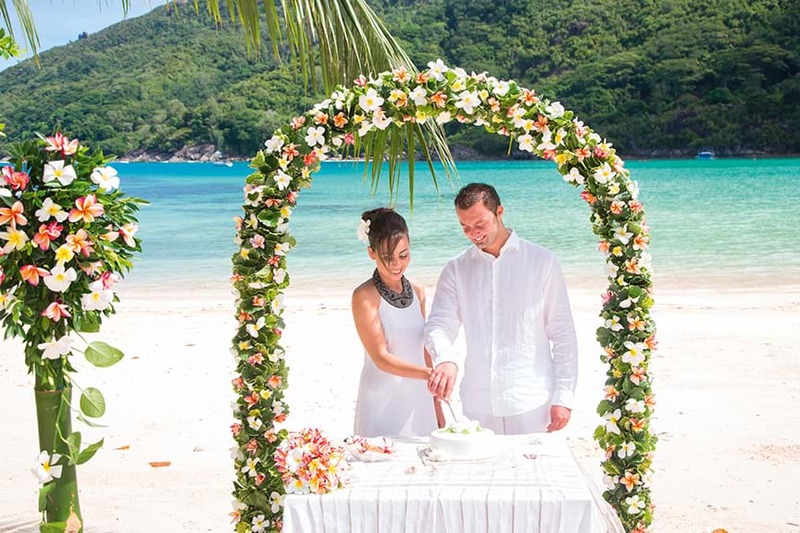 Constance Resorts and Hotels are renowned for their excellent coordination of weddings and have dedicated wedding planners to ensure that your day will run smoothly. 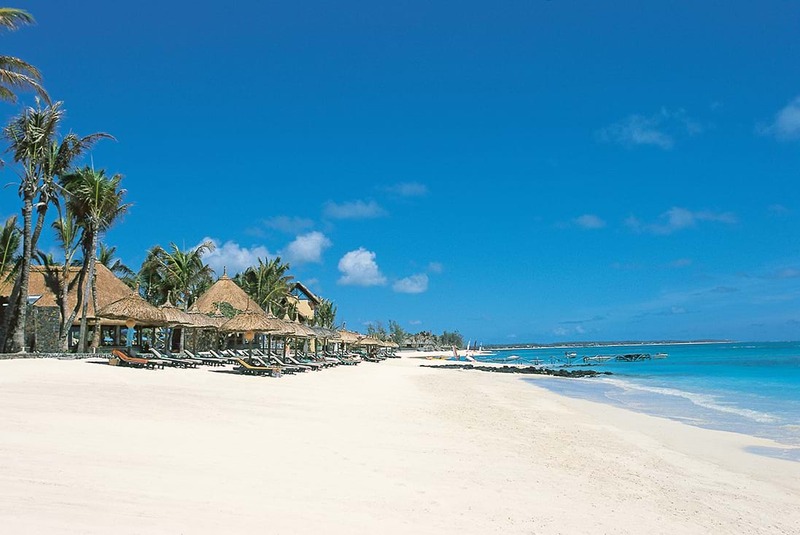 Packages start from just £490.00 and there are many optional extras to make your day perfect.